It was an emotional moment Friday as teachers and staff returned for the first time to Marjory Stoneman Douglas High School in Parkland, Fla., after the Feb. 14 shooting. Law enforcement still surround the campus more than a week after a gunman killed 17 people at the Broward County school. Staff returning to school will be provided with a variety of support services for anyone who needs them. The school will have more security on campus after the Broward County sheriff authorized earlier in the week to have trained deputies carry rifles on school grounds. History teacher Ivy Schamis was teaching a Holocaust class when the shooter fired into her classroom. She's planning to return Monday to collect items from the room, including a big yellow banner that reads, "Never Again," referring to the Holocaust. She wants it hanging in her next classroom. "That's a Holocaust banner and now that's what our slogan is becoming after this tragedy." 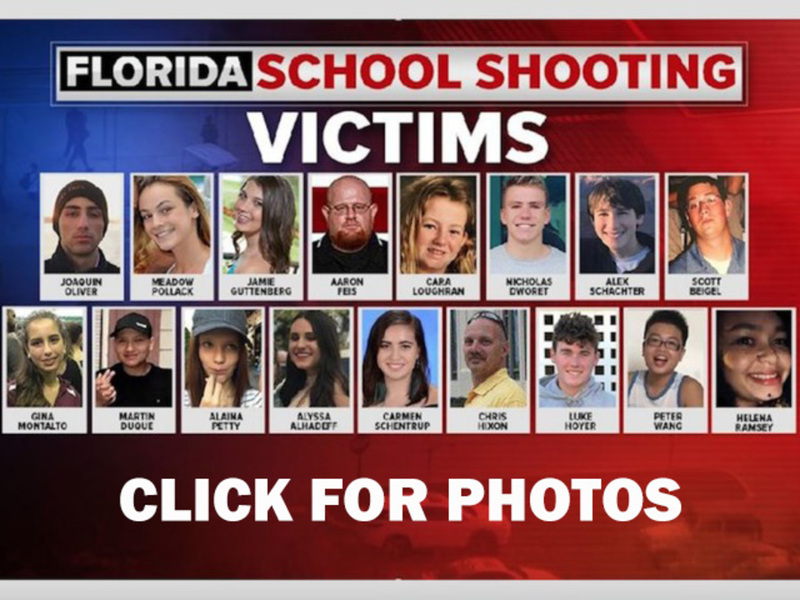 A voluntary campus orientation for all Marjory Stoneman Douglas students and their parents/guardians will be held Sunday. Staff will officially return Monday and Tuesday. Students will return Wednesday on a modified schedule. No one will return to the freshman building where the shooting happened.